Warri (Nigeria) (AFP) - Two Nigerian state-owned oil pipelines were blown up in the delta region Friday in attacks blamed on the Niger Delta Avengers (NDA) militant group, a local security official said Saturday. "The attacks targeted two pipelines located in the same zone," an official for the Department of State Security (DSS) told AFP. 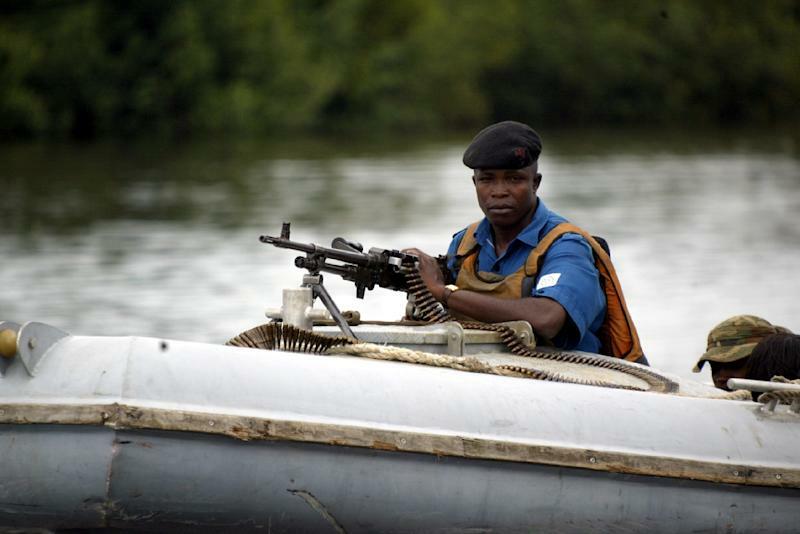 "Both belonged to the NPDC (Nigerian Petroleum Development Company) and we believe this attack to be due to militants." Also on Friday, a newly emerged armed group calling itself the Niger Delta Greenland Justice Mandate (NDGJM) claimed responsibility for an attack the same day in Udu State. It was the second claim of responsibility by the group, which earlier this month claimed to have blown up a major pipeline and warned of more attacks to come. The creation of the group was announced scarcely two days earlier by its spokesman, self-proclaimed "general" Aldo Agbalaja, who warned that the NDGJM would strike at oil installations within 48 hours. Since the start of the year, the Avengers have carried out a string of devastating attacks on Nigeria's oil pipelines and facilities. The oil rebels have also said the Niger Delta, home to the country's multi-billion-dollar oil and gas resources, might declare independence on October 1. Nigeria marks October 1 as the anniversary of its political independence from colonial power Britain in 1960. Oil majors including Shell, Exxon, Chevron, Eni and the state-run oil group NNPC have all been targeted in the attacks this year. The attacks have reduced Nigeria's output by a third, hammering government revenue at a time of low global oil prices. The oil sector accounts for 90 percent of the nation's foreign exchange earnings and 70 percent of government revenue. The Avengers claim to seek a fairer share of Nigeria's oil wealth for residents of the region as well as self-determination and political autonomy. They have rejected a government truce to end the violence.